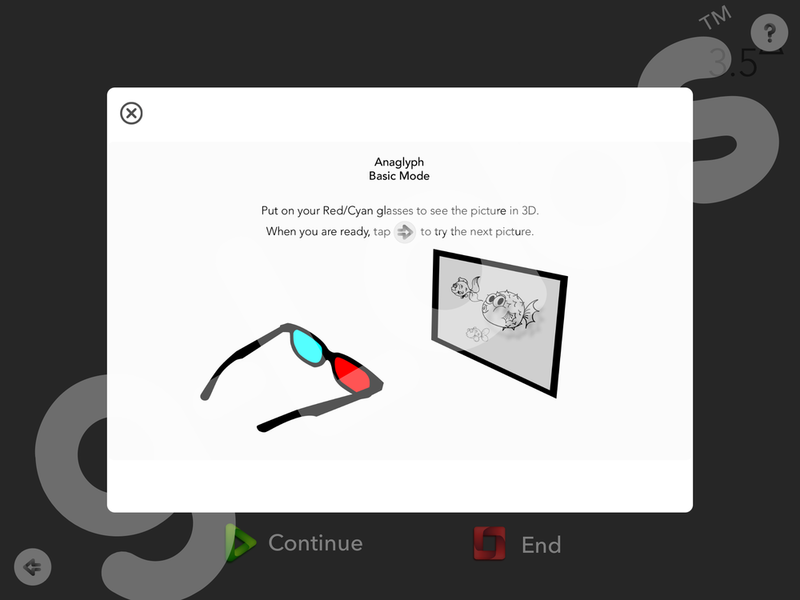 Description of the "Anaglyph Fish" exercise in the Opto vision training app for iPad. This exercise features some fun and simple characters for anaglyph viewing practice. How to Purchase: Available as an in-app purchase in Opto, the vision training app for iPad. Download Opto and find Eccentric Circles in the in-app library of exercises. Available as an individual exercise ($4.99 USD) or at a discounted rate in Expansion Bundle 1 ($79.99 USD). Interactive mode: View the images one at a time. Use forward and back arrows to navigate between the 6 available images. Dynamic mode: One large target is displayed. The fusion demand is controlled by a slider. You may also tap and hold the image to drag it to any area on the screen. Download Opto for iPad to access the "Anaglyph Fish" exercise.